I had a little monkey, his name was Tiny Tim… Are you familiar with this nursery rhyme? It is one my hubby has taught me. Tiny Tim is the perfect name for this little guy, as he is less than 4 inches tall. I found this free pattern here on Ravelry. I used #3 needles and less than 45 yards of worsted weight yarn. He is knitted flat and then sewn together. I changed the eyes by using 6/0 glass beads instead of embroidering them as the pattern recommended. I had a little monkey; his name was Tiny Tim. Now my little monkey, has a bubble in his throat. 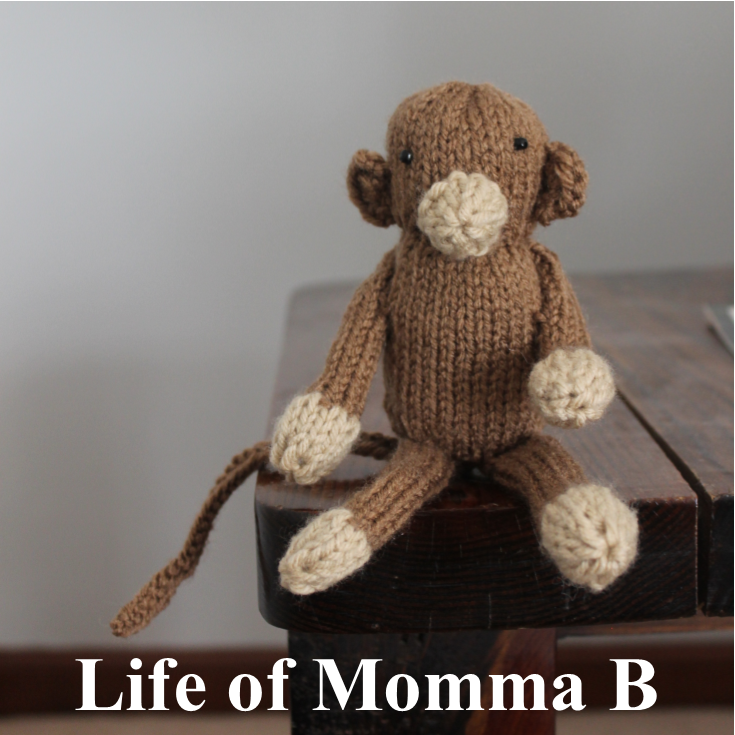 This entry was posted in Knitting and tagged Amigurumi, animal, beads, free pattern, monkey, stash buster, toy. Bookmark the permalink.